All T wants is a break from her day job. After months of fighting angry demons and keeping humans oblivious to the Underworld, she needs some time off. Her solution is brilliant: A girls’ day out, full of shopping, massages, and mani-pedis. Luckily, she has a friend to bring along—her business partner, J. Unluckily, J wants nothing to do with T’s plan. T manages to drag J along, promising a day full of pampering and relaxation. But the Underworld has different plans. When T and J are attacked by a pack of demons, their girls’ day is ruined and replaced by something much more sinister: A life-or-death investigation into the person—or demon—who wants them dead. Does that sound awesome or what?! Okay, so Girls' Day Out was so much fun to read! It was mythical and creative, with magic on every page; in the words and in the story world. It's hard to choose who stood out more for me; T or J, but they were both very independent in their own ways and had traits and inside-words that seemed to bounce of each other, making them a good team. I loved reading all about the Underworld, because even in a shorter novel, I like there to be a good description of what I'm reading so I can pictured it in my head; and I could with Girls' Day Out. It was humorous at times, witty and spooky, making it a lovely read for an afternoon. (Once I started reading this one afternoon, I could not stop.) Exquisitely written and crafted, Girls' Day Out is an incredible story I'm sure any YA, or Adult reader would love. I just wished it was longer! 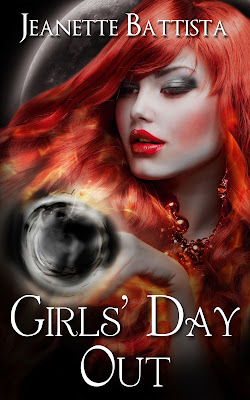 I loved Girls' Day Out, and I gave it an amazing four shiny stars (or cats in my case, ha ha). Want to know even more about Jeanette's book? 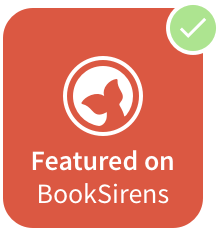 Then your answers are right here on Goodreads. You can also buy it here on Smashwords, or gift it to a friend! Already read "Girls' Day Out"? Tell me what your favourite parts were in the comments!